What are the pre-requisites to get a many to many mapping with the EJB3 "Generate Persistence Mapping Tool"? The okay button seems grayed out every time I try to map a many-to many relationship. MySQL tables seem to need to be of type "innodb". Seems to fix the issue. 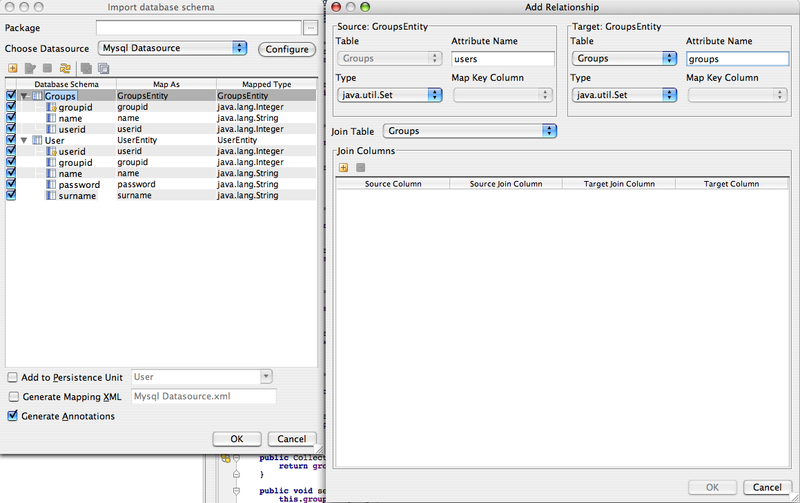 The screenshot shows that JoinColumns are not set for the JoinTable.